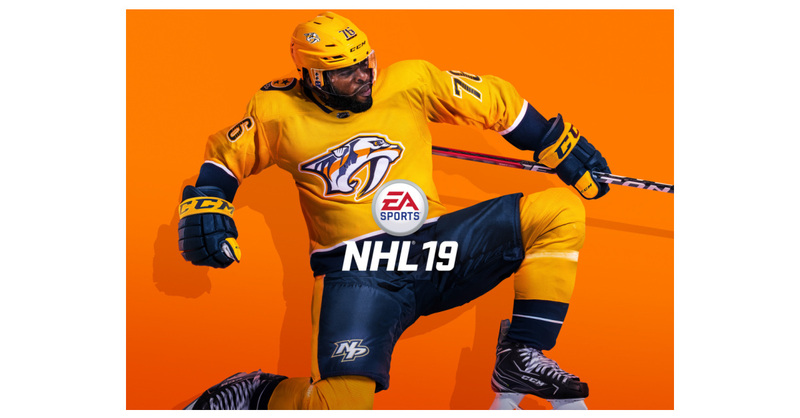 REDWOOD CITY, Calif.–(BUSINESS WIRE)–Electronic Arts Inc. (NASDAQ: EA) today released EA SPORTS™ NHL®19, introducing players to the World of CHEL where they can compete in the great outdoors and journey from the pond to the pros. Powered by the revolutionary RPM Tech gameplay technology, NHL®19 delivers all-new skating and collision physics systems that make gameplay look, feel and play better. Over 200 playable hockey Legends gives fans that chance to compete with and against the greatest players to ever lace up the skates. In NHL®19, players can compete on outdoor ponds under a unified progression hub called World of CHEL that unites EA SPORTS Hockey League, NHL® THREES Drop-In and two new game modes, NHL® ONES and Pro-Am. NHL® ONES pits three players against each other in a festival-like king of the hill tournament featuring fast-paced, 1v1v1, free-for-all fun, with no rules and no stoppages. Players win games to rank up to new outdoor locations and defend their position on daily leaderboards. Progression and rewards earned in World of CHEL can be applied to each player’s Create-A-Character, allowing them to personalize their gameplay with new player traits and abilities, as well as express their individuality with over 900 new customization items. At the core of NHL®19 is cutting-edge Real Player Motion (RPM) Technology in gameplay, which redefines the way movement and animations are showcased. Influenced by speed and creativity in today’s game, RPM Tech enables explosive-edge skating, giving players more control, faster acceleration and more responsiveness as they move up and down the ice, creating the most responsive gameplay in franchise history. RPM Tech is paired with a new collision physics system that introduces more contextual body-checking, bringing bigger, badder, jaw-dropping hits that are dynamic based on speed, size and point of impact. Hockey culture shines in NHL®19 as players can create unique looks with lifestyle gear and apparel for the first time. Hoodies, jackets, parkas, winter knits, and more are available to wear on the ponds, including authentic apparel from brands like Adidas. EA SPORTS NHL®19 is ESRB rated E10+ and available now worldwide on PlayStation®4 and Xbox One for $59.99 USD. For more information on EA SPORTS NHL, visit the website at www.easports.com/NHL. EA Access subscribers on Xbox One can play NHL®19 free for up to 10 hours and receive a 10% discount on purchase of the full game*.